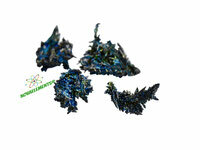 Hafnium and zirconium are two of the elements that are most similar to each other. Therefore they are hard to separate. The silvery, heavy hafnium so far is used only for a few special technical applications. 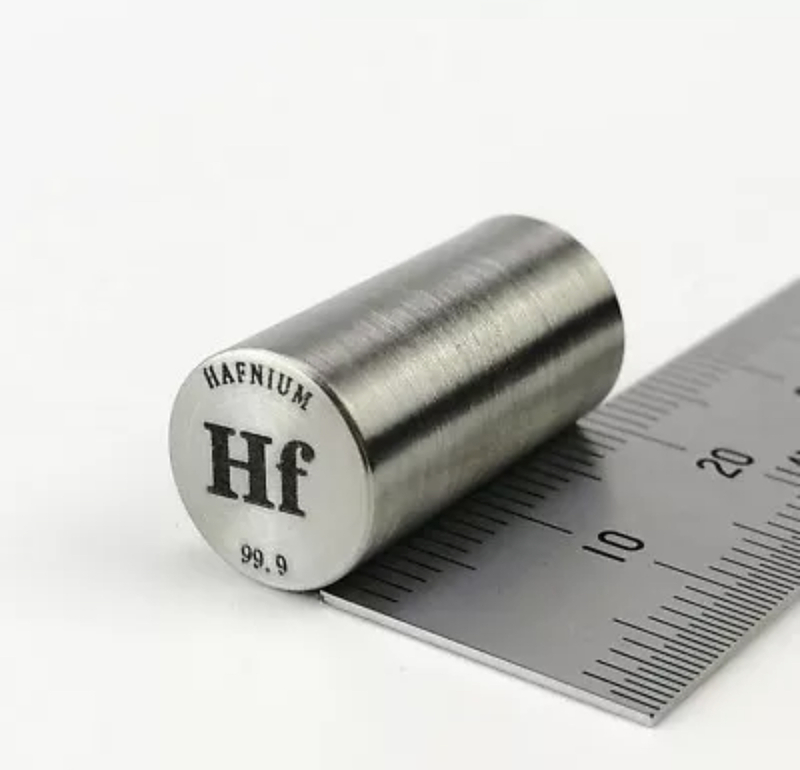 Hafnium carbide (HfC) and tantalum hafnium carbide (Ta4HfC5) are very hard and mechanically enduring, the latter has with more than 4000°C the highest melting point of all materials. 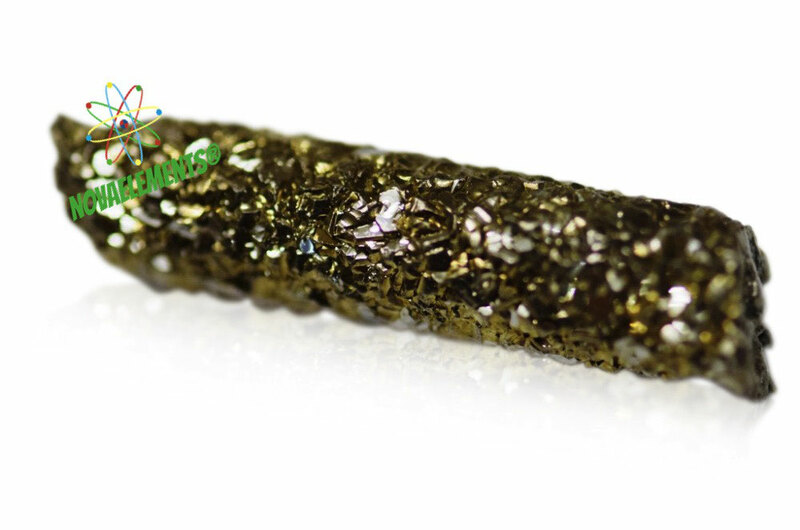 High purity Hafnium metal pellet 99,9% 1 gram in glass vial with label. Pure element 72 sample. 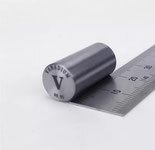 High purity Hafnium metal rod 99.9%, pure element 72 Hf sample.